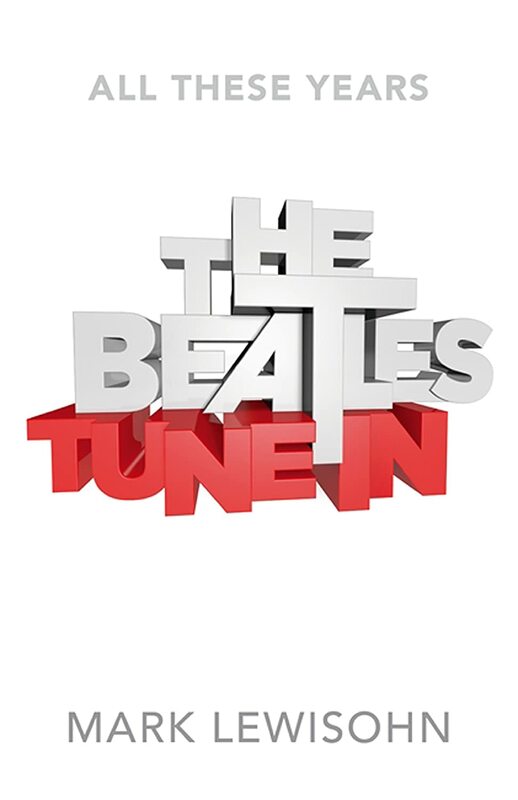 I hadn't even thought of this before now, but if you're interested in what I'm listening to during the Magical Mystery Listening Tour, or just in general, feel free to follow me on Last.FM. My handle there is, unsurprisingly, DrBlur. After taking the weekend off, I'm back at it today! The Steely Dan and Bowie albums are legendary, rightfully hailed as classics and it's always nice to hear them again. They're loaded with classic songs and should be in any serious music listeners library. The Hendrix show is live from London in early 1969 and is one of the final concerts the original Experience lineup performed, and the final one in the UK. It's got some blistering cuts, and overall is an excellent show. Semisonic's final album is a pure pop confection that is candy for the ears, and I love it. They were a great power pop band, believe it or not, and I really enjoy listening to them. I even saw them in concert when they were touring this album, and it was a fantastic show. Pete Townshend's 2nd solo album is as brilliant as his first (Empty Glass), especially as I get older and can appreciate some of the lyrics more (especially Slit Skirts). The final album of the day is a greatest hits album by the Lovin' Spoonful. Some classics on there, like Summer in the City, Daydream, Do You Believe in Magic, and Did You Ever Have to Make Up Your Mind? Overall, a pretty varied and enjoyable mix today! As you may or may not know, I'm a bit of an Anglophile, mainly when it comes to music but also a lot of other things. I'm lucky enough to have gone there 3 times in my life so far (and hope to go again in the future). 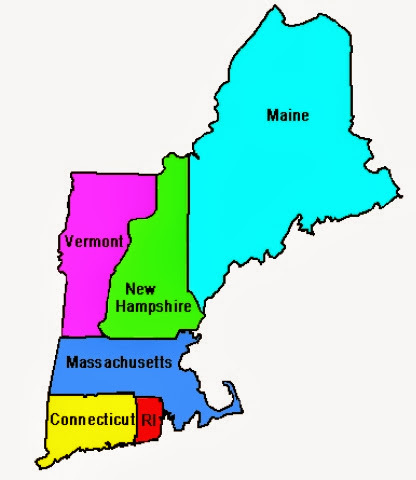 I've also been lucky enough to call the New England region of the USA my home for my entire life, apart from a year in Pennsylvania when I was a toddler (1982-83) and 2 years in South Carolina when I was a postdoc (2007-08). Of those remaining 30 years, I spent 2 1/2 of them living in Massachusetts and the other 27 1/2 years in New Hampshire. This is my home and I love it here. There are so many unique and special things about New England and I fully intend on writing about all of that in the future. However, the impetus for this post are conversations I've had with various friends and colleagues from the UK over many, many years. And that's because so many of our town and city names here in New England are (naturally!) copied from our mother country. The vast majority of names here are either English or Native American names. And I've confused a lot of online readers of my site and of my books who think I live in England when I mention towns around me with the same names! With all of that said, I thought it would be fun to make a list of all of the duplicate names I can think of. I'm sure I'll miss some so if you can think of any more, feel free to chime in down below in the comments section! I'm sure I've missed some...help me out with this list and leave more below in the comments, please! As I mentioned last week, I was awaiting two more books from their respective publishers to read and review. Well, the BBC Archives book arrived on Wednesday, and Man On the Run arrived yesterday. Those are the next two books immediately on my list after I finish All These Years: Tune In. (which I'm about 100 pages into out of ~950 pages). I've also been looking to get a copy of the new George Harrison biography, "Behind That Locked Door" from the publisher. Finally, I'm planning on reviewing other books, as well as posting my previously written book reviews from other websites in years past in order to collect and present everything on this site for your convenience and (hopefully) enjoyment. What this whole exercise has shown me is that, since I started with the crazy dream back in 2003 to write my first Blur book, if you work hard and persevere, great things can happen if you stick with it! I received my advance copy of this book earlier this week (many thanks to the publisher, Little, Brown, and Co) ahead of its mid-October release. It's volume 1 of a 3 volume definitive biography by renowned Beatles scholar Mark Lewisohn, and I've been eagerly anticipating this book for years. I've begun reading it and I'm about 100 pages in, and so far it's absolutely wonderful. For legal and copyright reasons, I cannot and will not divulge anything that's in the book, and you'll have to wait for my forthcoming review to get more details about it, but I do know that I can safely say right now that if you're a serious Beatles fan, you'll absolutely love this book: it's the one you've been waiting for. Stay tuned for my review once I finish it! The 3 Rush shows are from Cleveland, which was the first market they broke into in the US on their way to superstardom. The shows are a revelation, as Rush was still in their early Who/Zeppelin power-trio mode, and playing with absolute abandon. The shows are all in stunning sound quality, too, and are a rare glimpse at this period in their career before they began to develop into more complex music (already evidenced by the later two of the shows, where they debut songs that would end up on their 2nd album). The earliest show also contains two original songs that they never played again (Garden Road and Fancy Dancer) and as such, is vital listening for any serious fan of the band. Finally, the Zappa album is a live album from late in the original Mothers of Invention period (~1968) that is mainly a conceptual piece recorded live at the Royal Albert Hall in London. While it doesn't translate as well to a pure audio experience, there are several excellent cuts, mainly the full version of The Orange County Lumber Truck. Aerosmith are a band who are legendary, especially here where I live since they're local (New Hampshire and Boston), but I'm not a big fan apart from their early albums. Their self-titled first album is great, however, and has 3 staples of classic rock radio (Mama Kin, Dream On, One Way Street). The Neil Young album is a classic and has some of his best songs (Only Love Can Break Your Heart, Southern Man, When You Dance You Can Really Love, Don't Let it Bring You Down) and some of his longest song titles! Aftermath was the first Stones album that was a legitimate classic and the first to consist solely of Jagger/Richards songs. I listened to both the UK and US versions, which have different track listings and cover art. It's full of classics, though: Paint It Black, Mother's Little Helper, Lady Jane, Out of Time, and Under My Thumb. Against the Grain is an often overlooked Rory album, but it has some of his best songs, including Souped Up Ford and I Take What I Want, with his trademark blistering guitar playing. Finally, the Sufjan Stevens album (his most recent as of this writing) is excellent, and includes the epic 26-minute closing track, Impossible Soul. Some exciting news! I am working very hard to get my side gig reviewing books off the ground, and so far I have gotten the following books from their respective publishers in order to read, review, and promote them. I intend to review other books besides music books, but a raft of new and interesting Beatles books are coming out over the next several weeks so I figured it's as good a place as any to start! Look for a separate section of this site devoted solely to book reviews so that if you want to jump right to those, it'll only take one click. "Accelerate" was R.E.M. 's best album in years when it was released in 2007. I remember wanting them to break up after the disappointing "Around the Sun" album and being so glad they didn't when Accelerate came out. The Beatles' "Acetates" is a bootleg album that has home acetate recordings of songs, some which ended up on albums and some which didn't. The coolest tunes on here are the full-length "12-Bar Original," and Paul's gorgeous demo of "Goodbye." An added treat is the Beatles' (well, Paul's) version of his song "Come and Get It," which the band turned down for inclusion on "Abbey Road" (what a shame) before Badfinger had a hit with it. Mansun's "Acoustic" album is a compilation of all of the acoustic versions they recorded of some of their singles and B-sides, and is excellent. "Adore" has always been unfairly vilified, in my opinion. It's not the best Pumpkins album but it's damn good and one I always enjoy going back to to listen to. With 130 GB of music on my 160 GB iPod, I've got a LOT of music to choose from when I listen. The official stats via iTunes are that my iPod has 17,616 songs, which is equivalent to 56.6 solid *days* of listening! And while I obviously like everything on my iPod (to varying degrees), there are definitely artists and albums I listen to much more frequently than others. I was lurking on an internet forum for a favorite musician of mine, and someone posted that they were going to listen to every album on their iPod in alphabetical order. I thought that was a great idea, and today I decided I'm going to do just that as well! I'll continue to update my progress as regularly as I can, and offer any opinions on anything I listen to, especially if it's something I haven't heard in a while and if it seems better or worse to me than I remembered. So far, Abbey Road and Abraxas are, or course, legendary classic albums, so there's not much to say there. The Derek and the Dominos songs for their aborted 2nd album remind me yet again how much of a shame it was that Clapton couldn't keep that great band going longer. And the Zappa album (his second) is fantastic and an underrated (not by his fans) gem from his discography. Finally, a great Peter Gabriel-era Genesis show with a rare version of Firth of Fifth with the piano introduction. Strap yourself in for the ride! Within the next 3 weeks, 2 new albums by a couple of my favorite bands/musicians are being released that I'm very excited to finally hear! 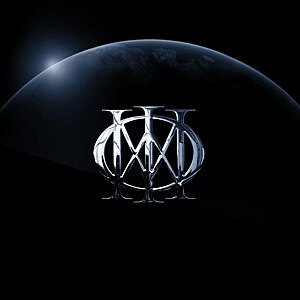 First up is Dream Theater's self-titled album, their 12th, is due out tomorrow (September 24th). It's their second album with new drummer Mike Mangini and their first to involve him in the creative process from start to finish. Their prior album with Mangini, A Dramatic Turn of Events, was excellent, although I'm a huge fan of original DT drummer Mike Portnoy, so I didn't *love* that album. Here's hoping this new one is great (I'm sure it will be). 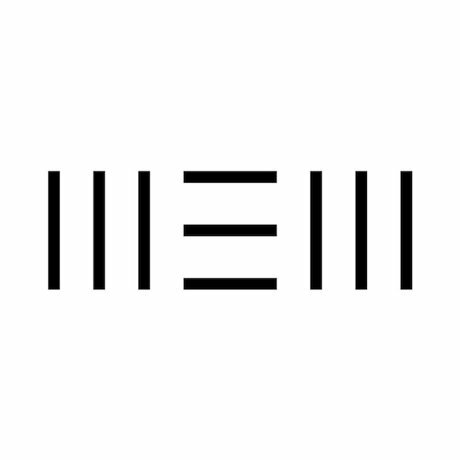 And due out on October 15th is the new album from Paul McCartney, "New." It's his first rock album of originals since 2007's excellent "Memory Almost Full." I've already discussed my love of his music, as well as the excellent lead single from this album. To say I've been eagerly awaiting this new album would be an understatement! I hope to review these (and many other) albums in the coming weeks, so check back to see what I've gotten up to! The next book review I'll be publishing on this site is for the new book "Man On the Run: Paul McCartney in the 1970s" by Tom Doyle. 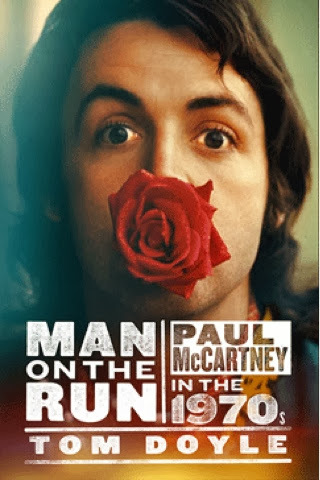 It takes a look at Paul's music, life, and career during the decade immediately after The Beatles' breakup and which contains arguably the peak successes of his solo career with his new band, Wings. This is a period of his life and career that has usually not been given too much focus, and as I'm also a big fan of his work with Wings, I'm really looking forward to reading this. Special thanks to Birlinn, the publisher of this book who have been kind enough to agree to send me a review copy. I should have it within the next week or so, and I'm really looking forward to digging in. Stay tuned for my review in a little while! I've written before on here about how important running is to me. It not only got me into shape and healthier, but it's proven to be the best physical and mental therapy I could possibly ask for, no matter how a particular run goes. Now that I'm 2 1/2 years and 1350 miles (and counting) into it as a routine part of my life, I can't imagine living without it. I'm typically good for 20-25 miles a week, and at my peak I was running 8-9 miles each run, 3 times a week. When we moved in June (only across town, but still it was a TON of work, mainly done by my wife while I was at work), I was only able to run a few times in the whole month. Once July rolled around, I tried to pick up where I'd left off, but found that I was only able to run a few miles before tiring out! (Yes, I realize it's silly to complain about being "out of shape" and being able to run "only 3 miles!"). I've stuck with it and slowly but surely, I'm getting back into form. I'm now back to running ~4-5 miles each time out with ease. My plan is to ramp back up to where I was at the end of May, which was around 8-9 miles, with my long term goal being to run a half-marathon distance of 13 miles. The other big change is that I've transitioned from running solely in the evenings to running early in the mornings. It was a difficult transition at first but now I absolutely love it! The only drawback is that I am limited by time in the sense that I have to wake up earlier and earlier in order to stretch out my mileage. I'll have to think of a way to work around this, whether it's to get up even earlier (as it is, I'm up at 4:30am on my running days), or more likely, I will go into work a little later and simply work later to make up for it. It's also changing from summer to autumn here in New England, so I've got to bear that in mind because even early in the mornings, it's COLD! In any event, that's my running update for now! I was recently sent a complimentary copy of the newest biography of a favorite band of mine, Blur, by the publisher, with the understanding that I'd write a review of it when I was done. Well, I've written it and published it on my Blur-related blog. Here it is if you're interested! I had posted a little while ago at how I was rereading John Lennon's first 2 books on one of my business trips. I've since gone on a few more trips and managed to reread his final book, Skywriting By Word of Mouth, as well as begin George Harrison's memoir, I Me Mine. It was very good and I enjoyed it a lot, even though it's not as good as his previous books. Some of his writings get a bit "samey," and his focus on slightly perverted angles, while funny, tends to grate after a while. However, of major interest is the first part of the book, which is titled "The Ballad of John and Yoko" and is a mini-memoir from John and the closest the world will every get to John's autobiography. While it sanitizes, romanticizes, and whitewashes what they did from 1969 onward (something that has been continued with gusto by Yoko since his death in 1980), it's still an interesting peek into John's mind and his views on the whole thing. The book was intended by John to be released, but his death put that on hold until the mid-1980s when Yoko released it. As much as I've made my dislike of her known, I do have to thank her for releasing it. I'm about 165 pages into it. It comprises of George's mini-memoir in part 1, followed by reproductions of his handwritten song lyrics and his explanations on them. There is a nice section of pictures from throughout his life (up to the publication of the book in 1980, mere months before John's murder), which makes up the final section of the book. 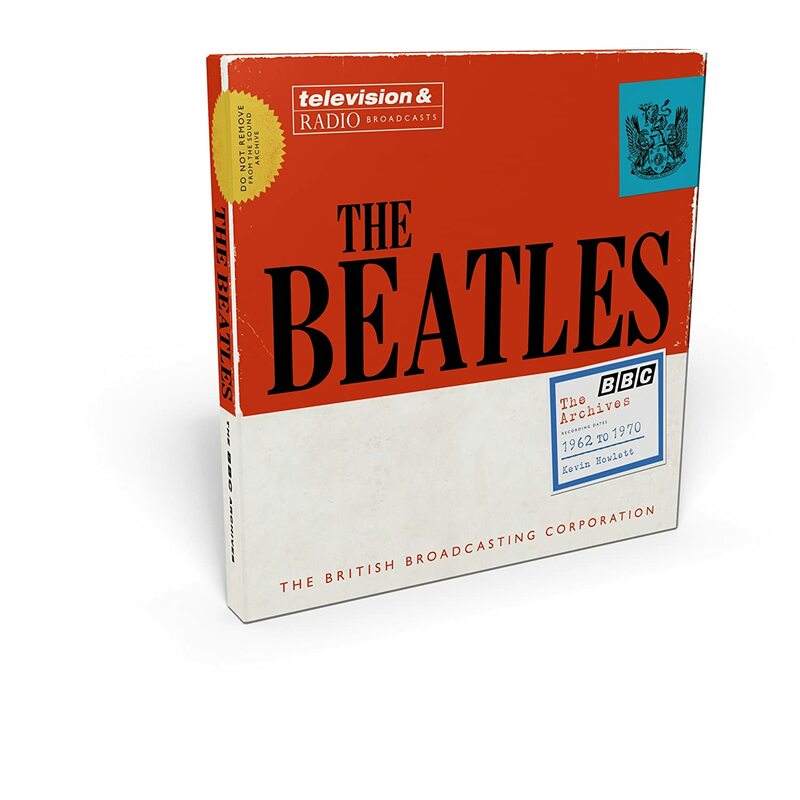 The book was put together by longtime Beatles friend and press officer Derek Taylor, who recorded numerous tapes of interviews with George, from which he pieced the book's narrative together. While only the first 60 pages or so are the memoir section, and George rambles a bit, he does give a little bit of his personal insight on the Beatles years and the other 3. What surprised me the most is how bitter and cynical about the Beatles he *DIDN'T* sound, especially given how bitter and cynical he was about them during and after those years, right up until the end of his life. Also, I had read for years and years how the book angered and hurt John because George "never mentioned" him at all in it. Yet, this is also not true, and John is mentioned no more or less than the other 3. All in all, an interesting and essential read about the one Beatle we all probably know least about, and who was in his own way the most complicated and complex of all of them. So there you have it, that's what I've been reading (among other books which I'm not going to get into here). With a few more essential Beatles books being published in the coming weeks and months, there are sure to be more reviews for me, so if you're a fan and/or you've enjoyed these, stay tuned!